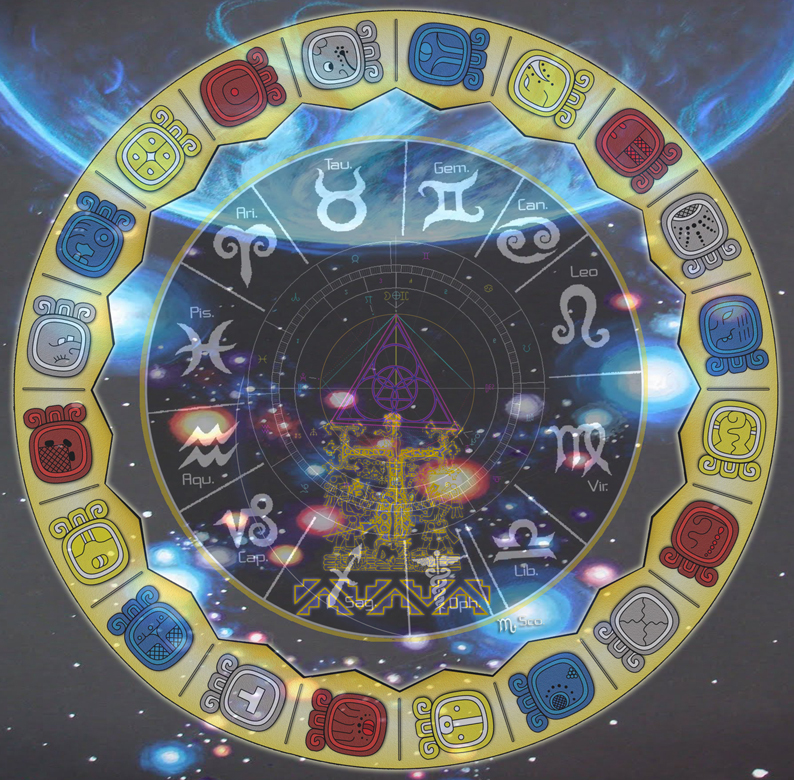 The Mayans left us with a serious legacy of wisdom in their calculations that led to the creation of the Long count, perhaps indeed they inherited it from a previous culture, or beings from another planet, yet its existance has proven to boggle minds for quite some time. I have made one of my main focuses to understand and read as much as possible about this cycle of time now coming to completion in 44 days. Starts at organic solar zenith 13 Aug -3114 and renews on the organic winter solstice 21 Dec 2012, but creates average length of year of 365.2429 (which doesnt match the planetary time records), and falls short by 2 days of the total number of days in the duration of 1 long count of 13 baktun or 1,872,000 days. Starts at geometric zenith 11 Aug -3114 and renews on the organic winter solstice 21 Dec 2012, matches the year length 365.2425 based on the planetary time records (3000 BC ~ 2000 AD), also perfectly in line with the current Mayan count of days. It is my view that the 3rd option is the most likely as scienfically it rings the most true. Since the science backs up the ancient wisdom of the Mayans. This also points to the fact that the Mayans knew of both geometric and organic time matrices at the time of creating the Long Count ( or whoever originally created it ), as the previous Long count started on a geometric day and the next Long count begins on an organic day. Overall it can therefore be said that this advance time science stands up to the test of time. Further to this is the understanding of both the precession of rotational axis shifting approx 1/4 year and the precession of the equinox shifting approx 1/5 year over the 5125 years of 1 Long Count, shows the Mayas also understood the larger cycles of time a great deal earlier than we did. Modern science has only recently understood this as less then 500 years ago Galileo (who lived between the years 1564-1642) played a major role in the Scientific Revolution. It is a strange reality to contemplate that 90 years after 1492 with the arrival of the Spanish in the land of the Mayas, in the year 1582 the Pope upgraded the Julian calendar with a new leap-day rule 97/400 for an average length of 365.2425. This year length is the average over the previous Long count (3114-2012), though after 2012 this doesnt stay the same... or does it? we'll have to wait another 5,125 years + 132 days to find out. Considering the amount of Mayan books and knowledge that may have been stolen that could remain in the vaults of the Vatican libraries, perhaps the Pope's astronomers used this knowledge to maintain their supremacy over our current time. Certainly it is a strange coincidence that it was only 90 years after their arrival that this shift in leap days took place, just enough time to study the Mayas books and use the knowledge for the Pope's benefit, as the world needed a better leap-day science. Am sure some will think this is just a coincidence, I myself dont as if you look at the number of times the Church and Caesars ( or their followers ) made a mess with time over the last several thousand years, I would be surprized if they would ever had figured out this understanding themselves, more likely as has happened many times in our earth history, a wise person or culture comes along with key information, and another culture or person uses that key information to profit from by destroying the original revealers of the wisdom and then states they came up with the idea themselves.